Yes, Bombazine is back. No, you are not dreaming. The english made fabric that turned a big hit in the 20th century is back in town. This warm wool material is being used for everything, from accessories, to clothing pieces. If there is a time for you to assault your grandpa closet, this is the time. On the runaway we can see it as a integral look in Nina Ricci, Lemaire and Marc Jacobs. 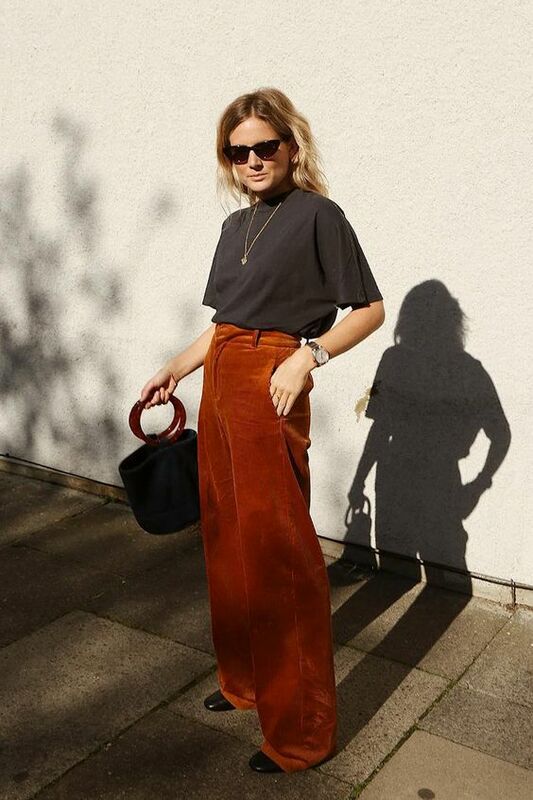 On the streets you can spot it in Jeanne Damas, Gigi Hadid, Giovanna Engelbert, Emili Sindlev, Alexa Chung, Courtney Trop and Lucy Williams.This season corduroy or bombazine comes in different shapes and colours and have quickly become a must-have trend. Designers took a different perspective with a retro spin with suits, high-waisted pants and dungarees. Still wondering how you can wear this trend? Pair the corduroy with chunky knits or white tees, subtle jewellery and oversized sneakers. If you still need help, look no further. This is how the it girls are making this trend cool!